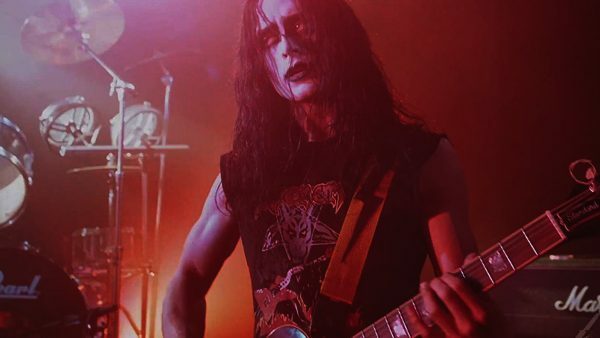 Following two sold out screenings at Monster Fest in Melbourne last November, where it took out the ‘Golden Monster’ for Best Film, we are pleased to present in association with Umbrella Films ONE NIGHT ONLY screenings of LORDS OF CHAOS on Friday February 22nd in cinemas across Australia & New Zealand. 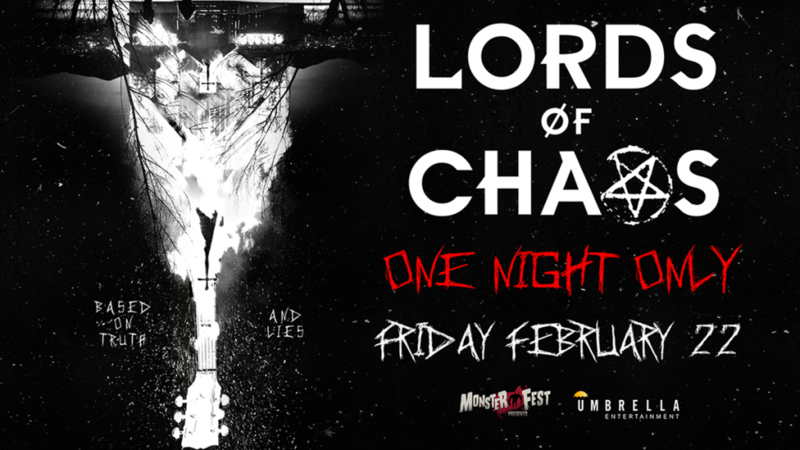 Set in the world of Norwegian black metal, and combining an 80s/90s period setting, the blackest of black humour and brutally visceral scenes of violence, LORDS OF CHOAS is ‘metal’ in every sense of the word – and an experience you’re sure to never forget. The only thing crazier than the film itself is the fact it’s based on the very real – and very violent – actions of an infamous Norwegian black metal crew. Drawing from his experience as the drummer in a black metal band, director Jonas Åkerlund brings a level of authenticity to the screen rarely seen along with the unmistakable style that made his music video work so memorable.